Brissie is sometimes tagged as a gateway city – a launch pad to elsewhere – but who says that’s a bad thing? While the Sunshine State capital has more than enough excitement to hold your attention, endless road-trip opportunities can be found just beyond the city limits. 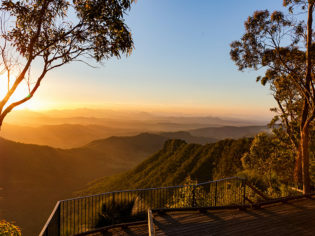 You might have to stop your car from autopiloting its way to the Gold or Sunshine Coasts, although both are A-grade daytrip territory, and worthy of their reputations, but there’s much more to explore beyond these beach-bound playgrounds. Brisbane’s western cousin has been quietly perfecting its blend of hipster cool and classic country. Think brisket burgers and slaw, Firefly Cafe, Toowoomba (photo: Ashton Rigg). Around 90 minutes from the big smoke, Toowoomba explodes in a kaleidoscope of spring colour with the annual Carnival of Flowers and, in autumn, takes on a splash of street art (First Coat), but its lush gardens and grand colonial architecture are enough to warrant a daytrip year-round – as is a quick pick-me-up at laneway dwelling Ground Up Espresso. History-filled Warwick sits on the banks of the Condamine River, around two hours south-west of Brisbane, brimming with colourful characters, striking sandstone buildings, and an influx of Akubra-wearers during the annual Rose and Rodeo Festival. Warwick and neighbouring dairy town Killarney can accommodate any whims of chasing waterfalls – simply follow the Falls Drive tourist route through Main Range National Park until it’s time to stop for a spot of Devonshire tea at Queen Mary Falls Caravan Park. It might be a long stretch for a daytrip, but you can still indulge your senses even if your time in Stanthorpe is fleeting. From an alternative Granite Belt wine trail to apple pie fresh from the orchard at Suttons Farm, Stanthorpe and its surrounds are primed for a food-focused road trip, two and a half to three hours’ drive from Brissie. A boutique wine region just inland from the Sunshine Coast? Believe it! Kingaroy may be known for its nuts, but the wider South Burnett region hosts a small handful of cellar doors. Swirl, sip and stock up on farm-fresh produce at Bunya Mountains Market before venturing off the wine trail for a picnic beneath the pines in Bunya Mountains National Park. Return via Crows Nest to stock up on olives and a whole larder of deli delights at Bunnyconnellen Olive Grove and Vineyard. 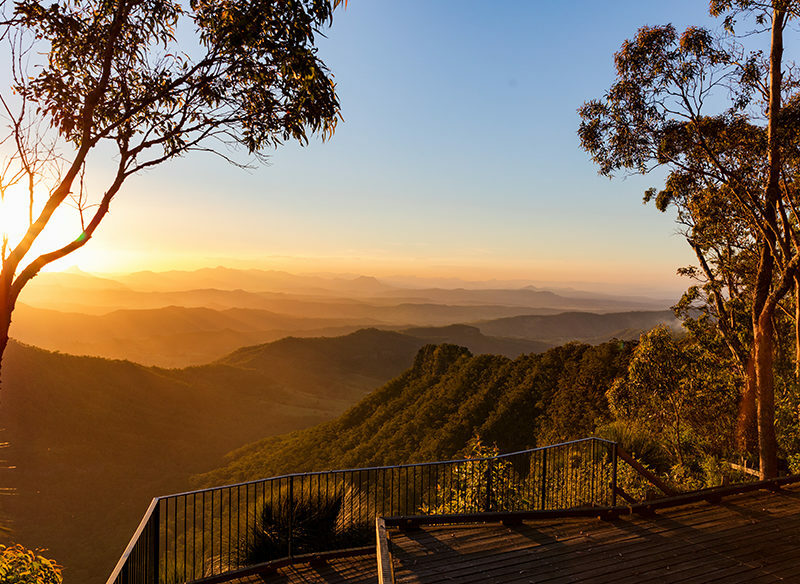 Six national parks are tightly packed into the Scenic Rim, with poetic little villages at the foothills of Mount Tamborine found just an hour from inner-city Brisbane. Mount Tamborine, looking towards Beaudesert. Make the historic milling town of Canungra your first stop for a picnic among the vines at Canungra Valley Vineyards and navigate home via Boonah to stop and smell the lavender at Kooroomba.